Today this little space now has its own little shop (shop link above in navigation bar)! It is all still a work in progress- and a learning process- but I am really excited about it! I am excited to share my journey moments with all of you, because that is exactly what they are to me- little bits of inspiration that come from life's journey moments! I never thought I would open up a shop. I wasn't even sure how that even all begins. But then, I found myself making a tank top (not actually in the shop yet) to wear for a run my dad was hosting, in memory of my brother, to help raise money and awareness for those in addiction recovery. I created the shirt (for myself mostly), but I shared the link online for people to purchase it through the site I created it on (with proceeds going to support the run) and a few did. From there the idea grew. I took the image that I had created for the tank top and decided to make it into a mug to give to my parents for Christmas. So I designed the mug and ordered theirs, along with a few 30 extras. 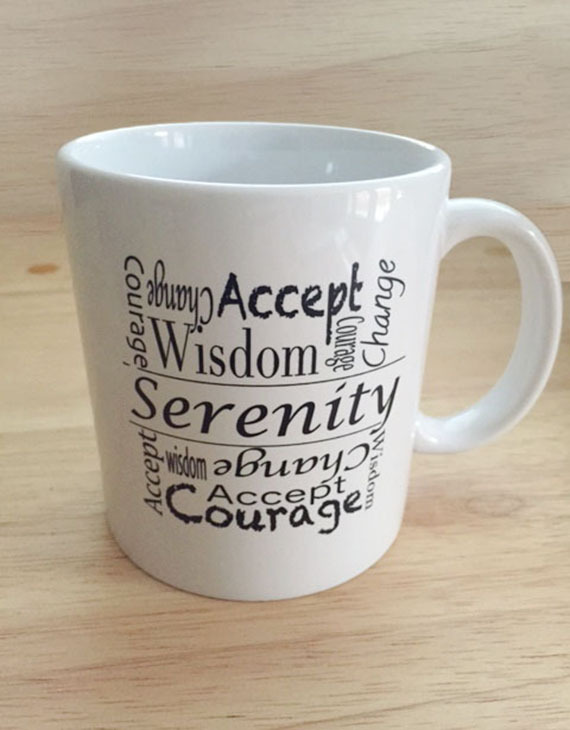 And the Serenity mugs became my first shop item. Addiction and recovery is a large part of my story, but it also strongly tied in with things that are hard and hold heavy meaning for me and my family. Being able to use that pain and try to turn it outward to encourage others is something that means a lot to me, but I also didn't want that to be the only basis for my shop. I also wanted my little shop to hold something that brings me joy and uplifts my soul on a personal level. Something that could be a daily reminder of light and fun and happy thoughts! It was out of that inspiration that the adventure side of my little shop was born! I figured what better way to start the Adventure line than with a little Adventure Fuel! And so the shop only has two items currently, but they are items that mean a lot to me and that I hope will bring you a little smile and daily inspiration as well!! I am really excited to see where this will go and how it will grow! I am excited to use this little shop to hopefully encourage others and to also help support missions that hold a special place in my heart. My dad and his friends run a company called Mind, Body and Soul Surfing Club, whose goal is to help those in addiction recovery through surfing. A portion of all Serenity line sales will go to supporting them and the work that they do. A portion of all Adventure line sales will go to support Agua Viva Serves. Costa Rica is a wonderful place to explore and adventure, but it is also a place where families living there do not have access to the same healthy drinking water that we do in the states. Agua Viva Serves works to bring clean water to communities in Costa Rica. I really believe that the work they are doing matters! I really believe in this little space! I really believe that our stories can be used to encourage others! It is my hope that this shop is just another facet of that. I pray that today you are encouraged! I pray that today you take one more step towards whatever dream it is your dreaming! In honor of the shop opening I am hosting a giveaway over on Instagram for one adventure mug! 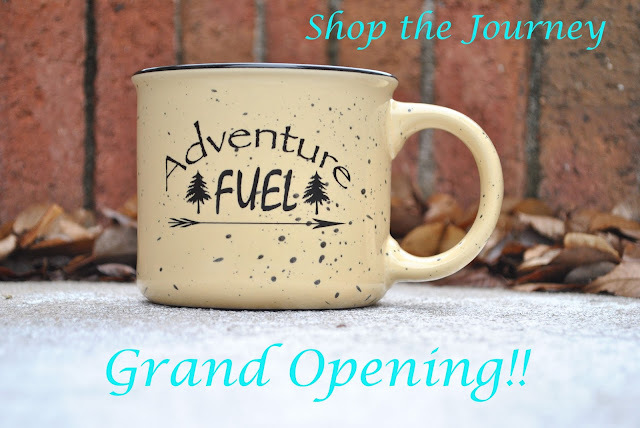 Head over and check it out and let's get fueled for whatever adventure today may hold! Happy Monday Friends! Hoping that Monday has you pumped and ready for a new week, but if not, maybe a little dose of happiness will help! Today is the first of my Happy Things for 2016! I would love to have you join and share yours too! 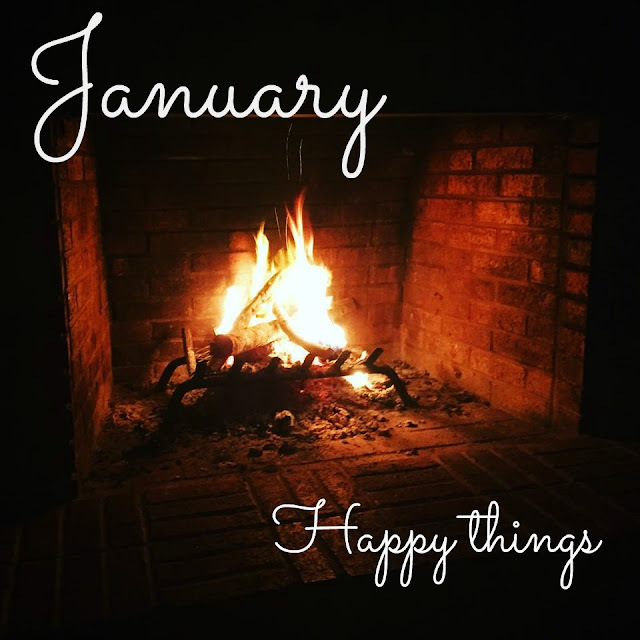 These 5 things made me really happy in January! 1.) Flo's first out of state adventure was a huge success!! We loved our trip to Georgia and can't wait to adventure again soon!! 2.) It is finally cold enough to have a fire in the fireplace! Not only that, it has stayed cold enough! Florida is freezing y'all!! We have had a fire in the fire place every night for the past week. And the make it even happier, we moved our bedroom into the living room. We usually do this once it stays cold enough. We take the mattress off the bed and plop it right next to the fireplace. We build a fire big enough to last well into the night and I fall asleep with my face only about a foot or two away from the flames! It's absolutely lovely; the flames dance and create a colorful display behind my closed eyes, while the pop of the burning embers play music that lulls me to sleep. Seriously, if you have a fireplace and have never done this, you need to! 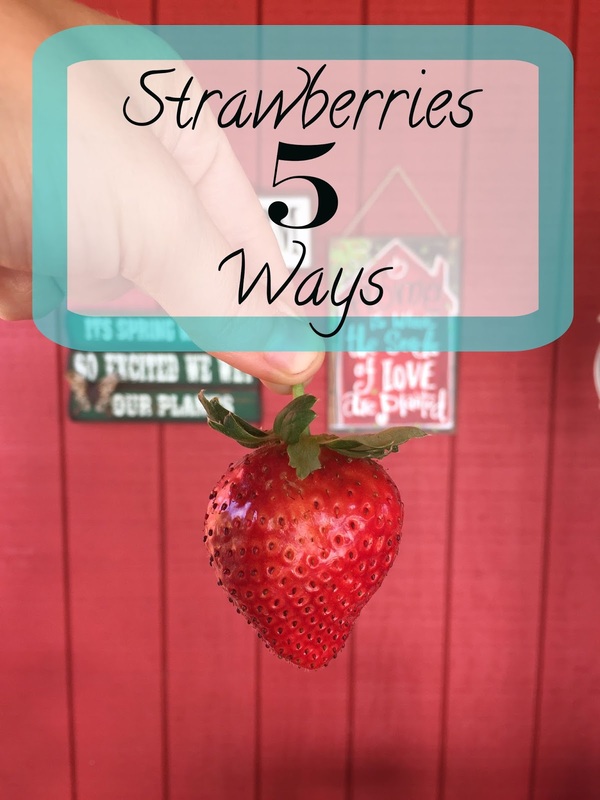 Especially if you have kiddos! We don't, but piling into the living room when my nieces and nephews are over and having a "camp-in" by the fire while play games and watching a movie= perfection! 3.) Teaching my niece to play Sorry! Sorry was the game we grew up playing as a family. Last week I ran into her and her mama at Publix and they came over to play by the fire for a bit. She is almost 5, so it was really fun to have her actually grasp how to play and for her to get to play by herself (with our help). We would give her the best options and she would get to pick how she moved. It was hysterical to see her little brain decide who she would "Sorry!!" Apparently, I was the big target! But in the end it came down to the two of us (kicked poor Uncle Andrew right out of the running), literally both of us waiting on a 3 to get our last man home. Ultimately I ended up winning, so it was also really neat to get to teach her how to be a good sport. It's something I have trouble with myself sometimes, so I told her it was ok to want to win but that a true winner is one who can lose with grace! A good lesson for both of us for sure!! 4.) Seeing The Sound of Music with my sweet mama!! 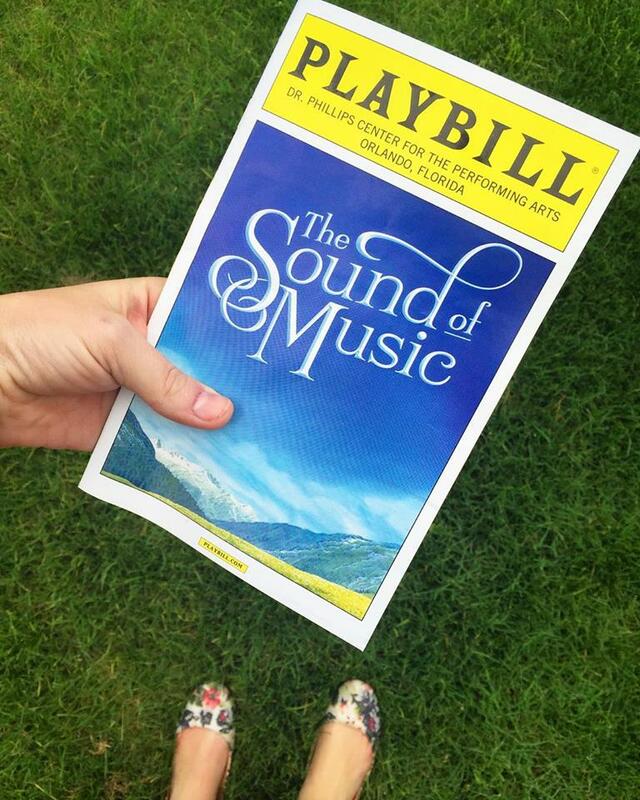 I love going to plays and this was the first time getting to see the stage version of Sound of Music, as well as the first time in our new downtown Orlando theater! My Sound of Music loving heart was very happy!!! 5.) Orlando day hikes!! I love adventuring and I love getting to go away in Flo, but it also makes my heart really happy when Babe and I have days off together to explore in our own backyard! So the other day we did just that and headed up to Little Big Econ State Forest to go to Kolokee Trail that a coworker had recommended to me. It was a beautiful day! Weather in the high 60's and sunny. The loop cuts through some of the Florida trail and was really well maintained (probably one of the most maintained trails we have done). It was a great area to check out for any of you local Orlando hikers! What are some of your happies?! 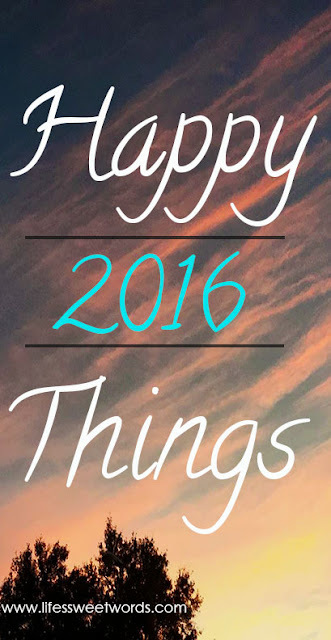 Join the link up and share your happy things for 2016!! - Feel free to share the image above so that others can link up their happy things too! The second leg of our Georgia adventure took us, about 40 minutes south of Savannah, to Fort McAllister State Park! Babe would probably be rolling his eyes at the fact that I am about to use the word LOVE again in response to our trip, but we did, we LOVED it there too! In all honesty, this is much more our pace! Don't get me wrong, we loved Savannah and the food A LOT! But there's something about the calm of a state park that just sets my heart at ease! I love the sounds of fellow campers; no devices, no kids holed up inside. Instead it's bike rides and noise and laughter and play! It's parent riding by on bikes and stopping to chat to fellow campers, asking "you haven't seen our kids ride by have you? We haven't seen them in over an hour." They aren't worried or frantic, they continue to chat with the people the stopped to ask, because they know their kids are ok and that they are just off exploring somewhere. There are older couples setting up by the fire, birds chirping, bats flying by and an owls hooting in the distance. I seriously can't get enough! Our campsite view was beautiful! While there had been an overbooking problem with the park and we had to find a temporary spot when we pulled in the first night, we got up the next morning and secured a spot that had just been vacated. We had a stunning view of the marsh and even though we were right by the entrance, it was pretty quiet and secluded! All the space is one of the reasons we prefer state park stays over RV campgrounds. Fort McAllister had all sorts of things to fill an adventurous heart! We started with a tour of the fort itself. There is a fee, as the park itself is only loosely affiliated with the campground, but it was worth it! The fort is so neat! They took advantage of the natural elements and the fort was actually built into the ground. Going inside made me feel just like a hobbit! There were tunnels to explore, living quarters to give you a glimpse at what life was like when soldiers were there and there was a lookout tower on the grounds that gave a beautiful view of the river! There is also a museum that gives you a more in-depth history of the fort that made Babe very satisfied! We watched the short video before we went out to explore the grounds and it even kept my attention! The hiking trails at the park were great! There was a shorter one (a little under a mile) right by the campsites, with two different legs you could take. One leg included little animal inspired workout activities, while the other (not marked on trail map) ran along side the river. The longer (3.1) miles, was up near the entrance to the park itself and was one of my favorite hikes! I love wet trails, especially when they aren't so wet that your shoes get soaked! This trail had the perfect mix of wet spots with rocks to skip on, or fallen trees to use as bridges, and nice easy, dry walking! The pioneer trail loop is not included on the trail map. It is a little ways into the mapped trail and is the fork off to the left. More rugged and windy than the mapped trail, but a lot of fun! It meets back up with the other trail towards the end of the mile. An example of the animal inspired workouts found along the mapped trail in the campground. Bikes!! I definitely recommend bringing bikes! We biked to the fort, to lunch, to the trails, everywhere! While you don't need them it does save a lot of extra walking. The public part of the park and the campground are separated by a long, bumpy road. It took us about 5 minutes to bike from the campground up to the park, but would have at least doubled walking. We also kayaked, but unless you have your own or know you are going to spend a full day on the water, I wouldn't recommend it. The least amount of time you can rent them for is 4 hours, which we paid $40 for. We were only out for a little over an hour and it just wasn't worth the cost for the amount of time we were out. I am keeping my fingers crossed that we purchase an inflatable stand-up soon!! The park (both public side and campground itself) also has great playgrounds for people traveling with kiddos, as well as wooden bench swings at the public end of the park for people to enjoy. There are also cabins that can be rented that house between 8-14 people depending on the size of your party. Looking at the prices they seemed a little steep in our opinion, but if everyone splits the cost it isn't that bad and a great option for glamping! We mostly ate at the site; Babe tried out the new grill with some yummy lobster tail and then made burgers over the fire pit our last night. However, there was an awesome restaurant right outside the main entrance to the park and we knew we just had to go for lunch one day, mostly because we saw the sign that said oysters!! So our last full day of the trip we biked up to Fish Tales and enjoyed a lovely meal on the water before heading back to conquer the longer hike! Fish Tales was delicious! We got some yummy drinks, an oyster appetizer and then a full bucket of steamed oysters! 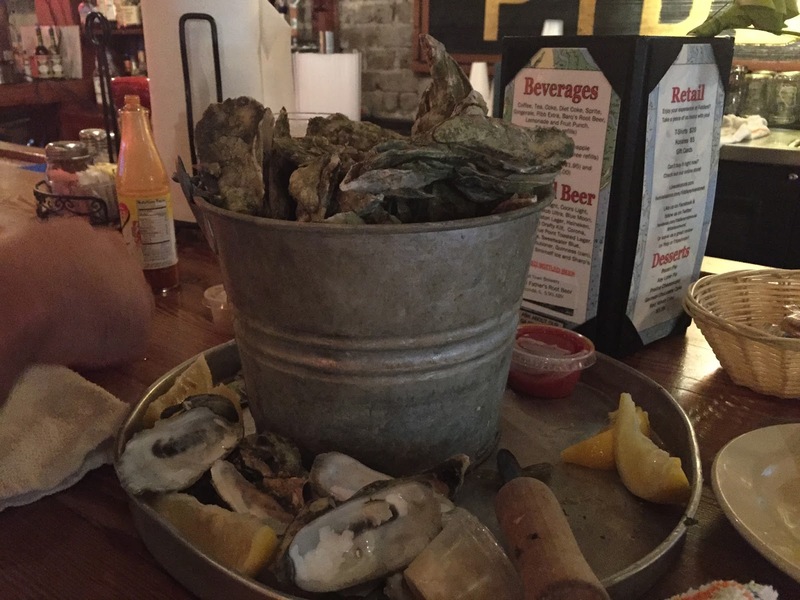 I don't know what it is about Georgia, but they sure know how to properly fill an oyster bucket!! It was brimming with glorious shells of yumminess for only $15! Fish Tails gets their oysters from Florida, so it was a good mix considering the oysters we had in Savannah were from Georgia. We ate to our heart's content, enjoyed the beautiful view of the marina and biked back to the park. *We did try to bike up to restaurant the day prior to when we actually went, but they are only open for lunch Friday-Sunday. During the week they don't open until 4. Seating is mostly outside, though they do have a bar inside and an enclosed patio with large glass windows that still offer a great view! *There is also a bait and tackle shop that is open during the day for anyone looking to fish. 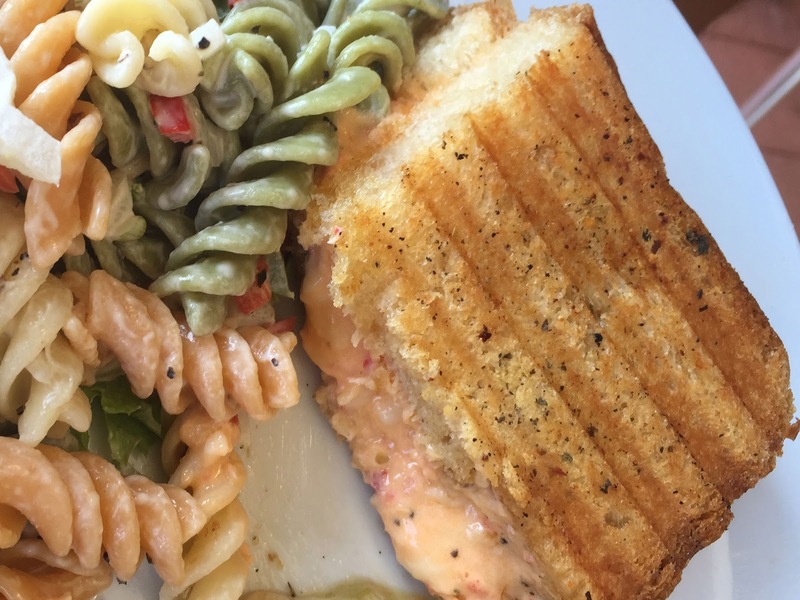 We loved everything about Fort McAllister and I definitely wouldn't mind going back! But it's off to plan our next adventure!! 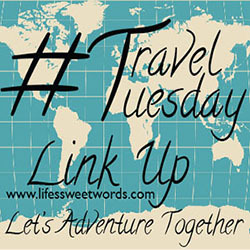 Feel free to link up for my new #TravelTueday link up in yesterday's post! 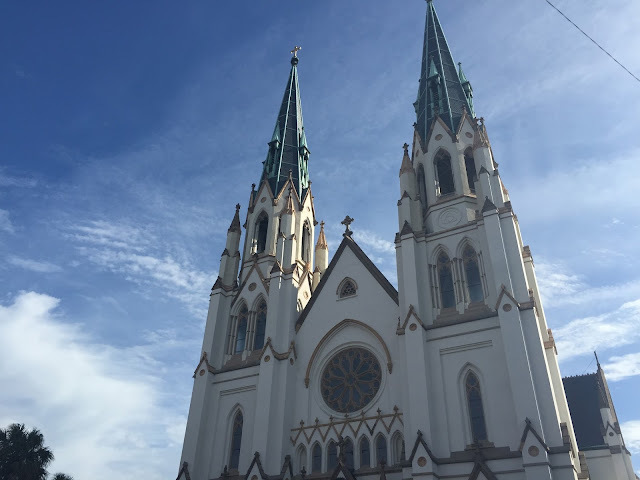 #TravelTuesday Link Up #1// Our Georgia Adventure Part 1: Savannah! We loved our first big, out of state trip with Flo!! As I was making the video (it took multiple tries, this whole Vlogging thing is very new to me), Babe said, " You say you LOVE every trip we've done! You can't LOVE every trip!" Au contraire, my dear husband, but I can! I really have loved every Flo trip we have ever taken! Georgia was no exception. We started the first leg of our journey in beautiful Savannah! The southern charm, the amazing food, even a few friendly haunts... it was great!! We arrived mid-afternoon on Monday and the visitors center was crowded!! We got a little worried, because that is where were planning to spend the night and we were hoping to park Flo right away. Thankfully we got lucky and there was an RV leaving just as we were pulling in, so we were able to slide right into the two spots they just left, but it was tight. The lot was mostly crowded with cars there for the day, but it does make it difficult for those with campers to meander through looking for a good place to park. We went inside and paid to get our parking permits for the two nights we were staying. 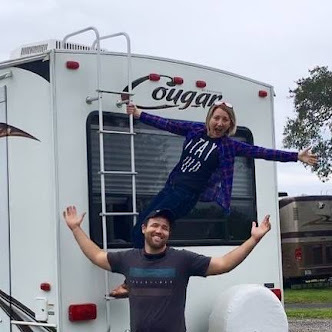 We headed out to explore a little bit, but when we got back that night (after the visitors center had closed for the day) it was just Flo and a handful of other RVs/ camper vans left in the lot, so we moved to a spot along one of the curbs so that we could put the slide out. We didn't move our little home on the road again for the 2 nights/ 3 days that we were in the city. *You could totally car camp it for a night or two. We were literally only back to sleep and that was it. Also, if you have an actual motorcoach, there are a handful of longer spots reserved just for that purpose so as long as you fit in one of those spots you are only paying for the one spot, not two the way we had to. *The visitors center closes at 5, so you need to get there by then to pay for your spots. It is first come first serve, but there were never more than 5 or 6 other travelers staying overnight. If you do get there after 5 the parking and traffic office is open later (I think until 7:30 and they can issue you a parking permit). Once you have your permit(s) you can actually park at any of the public paid parking spots in the city. *The visitors center lot backs up to the Savannah College of Art and Design. There was a security guard routinely patrolling, we slept with the windows open and in no way felt unsafe. We walked everywhere. We started on Monday night with a half history, half ghost tour. We ended up being the only ones of the tour, so we got a really up close and personal history of the city from our tour guide. It was neat to hear the history of the squares and buildings! Babe loved the history flare and I loved the spooky stories, so it was a good mix for us. Our guide, Jackie, really knew her stuff and made it interesting and engaging for both of us. She also took us to this great little place (17hundred90) with wonderful margaritas (though the locals know them as Martharitas), which we then enjoyed while we finished our walking tour. Cost: $25 if you buy online, but we called and saved $3 a ticket. We did tip $20, but we were also the only ones in the tour. On Tuesday we knew we wanted to tour some of the older houses and we ultimately decided to go with the package deal for the Andrew Low house, because it included another house tour (the Davenport House) and a trip to the Ships of the Sea Maritime Museum. There was another house we had really wanted to tour, but the package of options that came with it didn't appeal as much to us and we didn't want to pay for both. The history and architecture of the homes was amazing! Each home came with a tour guide who knew the house inside and out. It was really cool to hear about the restoration work being done and those that are working to keep the history of Savannah alive. Babe really loved the Maritime Museum; I hung in for as long as I could and then found my way out to the garden to enjoy a quiet minute outside! *The package does not have to be enjoyed all at once, you have 30 days to use it and we split ours up between two days. I had to work on Wednesday morning before we headed from Savannah to the state park, just in case we couldn't access wifi once we left the city. So while I worked, he toured the train museum that is right there at the visitors center. I am actually a little sad I missed this one! It sounded awesome!! They toured old trains and got a history of the railroad in Savannah. I kind of wish I had done that with him and sent him to the Maritime Museum while I worked instead. The train museum even had an awesome playground area for kids (and adults with kid hearts!) and I am so sad I didn't get to do the maze or the slide. #Willbrakeforcoolplaygrounds! However, I did get to enjoy a reenactment show while I was working that the children's museum (also there at the visitors center) puts on for the kids. Working to the sound of drums and gun fire was definitely an interesting treat. On our way out of town we stopped by Old Fort Jackson; it is definitely close enough to the heart city to make it part of your trip if you aren't going elsewhere afterwards. While he was busy reading and learning the history of the fort, I was busy exploring and wondering what it might have been like to live there when it was an active fort. I imagine, he learns... are you catching a trend here?! I also usually explore for areas that haven't been discovered or are hidden for some reason (some day I will tell you about the time I snuck out of the designated tour line in the Biltmore)! They also put on a great little show about the history of Fort Jackson, its purpose in protecting Savannah and then fire off a cannon! A pretty neat spot for sure! The churches!! Oh my goodness!! The churches!! We went into both the Lutheran church and the Cathedral of St. John the Baptist. I actually think these were my favorite things we saw on the whole trip. The Lutheran church isn't as well known as the cathedral, but it was still breathtaking. We had the whole building too ourselves, besides the guy who was there taking in food for the homeless, who told us to go take a peek and then gave us some historical background. It was such a humbling experience to be in the church, with the lights low and sunlight pouring through the stained glass and to stand in the quietness of it all and soak it in. The cathedral, was definitely less quiet and much more popular; there were people everywhere, but it took nothing away from the beauty inside that space. It was stunning! I really don't have any other words for it. It has to be seen, not described! Babe compared it to the cathedrals he saw in Italy. I am so glad we were there right after Christmas, because they had the most beautiful nativity scene that I have ever seen! I was so in awe, I probably could have stayed there all afternoon! But alas, we left, and we made our way to Forsyth Park. The park was nice and open, the fountain was really cool and if you have kids with you there are two awesome playgrounds (an older one and a newer, adaptive playground for kids of all abilities). While I am going to include the Savannah Bee Company in free things, you probably will be dropping a dime or two! I couldn't wait to get here and it did not disappoint. In fact, we went back three different times. I honey sampled, I lotion applied, we mead tasted and then I adopted a bee!!! Seriously, when you check out they ask if you want to adopt a bee for $1. $1 for my very own bee?! #takemymoney You get to name it, you get an adoption certificate and then you give them your email address so they can send you updates on your bee! Oh my honey-drenched heart was happy!! Ferry rides are also a fun, neat way to put your feet up for a spell and get a different few of the city. It is technically part of Savannah's public transportation and is free to enjoy! The food may as well have been included in what we did, because I think we spent more time eating than anything else. The Coffee Fox- YUM! We got coffee and then these stuffed roll things! Lady and Sons- We opted for Paula Deen's buffet, scheduled ahead and made reservations (thank goodness, holy people overload) and we were extremely satisfied with our choice! Yummy!! 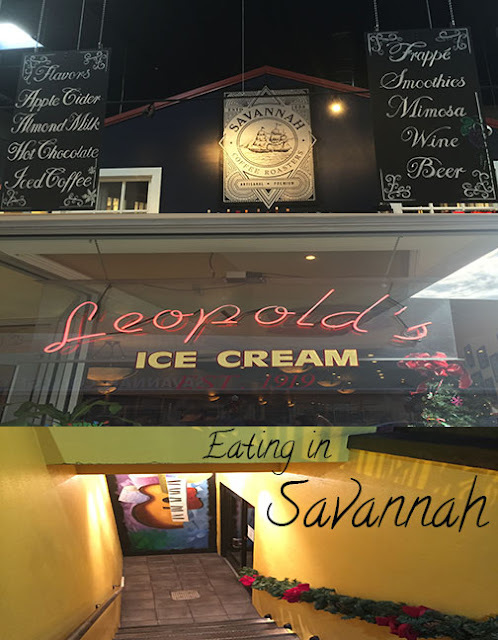 Leopold's Ice Cream- Ice Cream is totally a lunch choice! I got the honey and almond (yummy, but too many almond chunks) and Babe got a peanut butter something. A lot of people had recommended Leopold's too us and we tried both nights we were there to get it after dinner. The line was out the door and down the next block!! No way were waiting that long for ice cream! Go during the day! There was still a short line, but only right past the door. Do I think it was really any more special than any other ice cream?! Ehh, probably not! But it was yummy! Ampersand- This was our favorite spot for drinks!! We had been planning to try The Grey, but when we got there we realized we really weren't dressy enough and found this on a whim. It was dead (I guess if you go early in the week like we did a lot of spots are either closed or a lot less crowed), typically they have three floors open and she said they get crowded after Wednesday, but we didn't mind it at all! Being one of only 7 people at the bar is just fine by us! Their signature cocktails were unbeatable! Muddled some strawberries in anything for me and you have won my heart! Fiddler's Seafood- Our first time trying Georgia Oysters! Yum!! 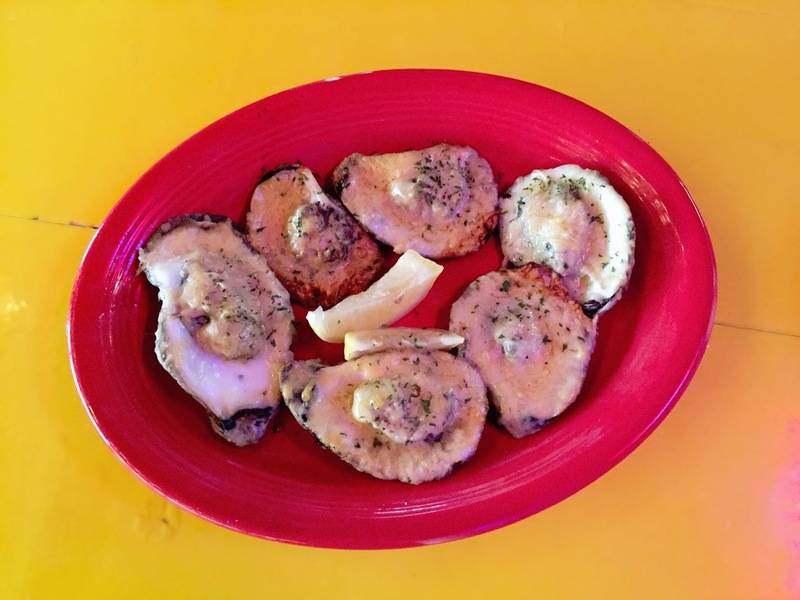 They were smaller, but had a meatier texture than Florida oysters and with the boat load they gave us we were one satisfied set of travelers! McDonough's- Irish pub we ate at because of the fact that it was where we were supposed to meet for the ghost tour. It was decent, Babe liked the Philly Cheesesteak, but we probably wouldn't have gone if we hadn't been meeting there for the tour. Pretty much pub food you could get anywhere. Overall we loved Savannah!! We loved being there earlier in the week before crazy crowds rolled in and we really enjoyed taking things slow and at our own pace. Link up and let's adventure together! 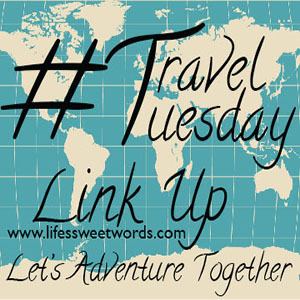 Starting today I will be hosting a monthly #TravelTuesday linkup. ~No real rules, as I am not a huge fan of those sorts of things! Just add your link and I encourage you to peek around and see where everyone else has been. ~Feel free to copy the image and add it to your post so others know where to link up. I am itching to share our Georgia adventure with you all!! I am still working on getting all our pictures uploaded and hope to have the first part of the trip up by Tuesday! #TravelTuesday is my favorite!! I figured I would share some of the little spoiler moments that happened along our trip and wrap it all up with our favorite little winery find! Grab a cup of something warm and adventure with me?! I must admit I love fire! I have always been somewhat of a little pyromaniac. As a kid, I burned a hole through the carpet after I flung a flaming marshmallow from the fireplace in our childhood home. So when Elise and Scott, from Hey Sweet Pea, shared their ritual of burning things that they want to let go of, as a way to close out the year before, I jumped at the idea of making the ritual one of our own! What a neat experience!! Babe was such the guy and rolled his eyes at me at first, but he wrote a few down and then summed it up with a final, "anything God wants me to let go of!" Me? I used an entire sheet of paper, writing fear after worry after doubt! My soul felt lighter with each passing note that found its way into the flames! It seemed funny to me, the way some would take longer to burn than others, as if they knew they were the things that were harder for me to let go of. It was so freeing and euphoric! It was also a great bonding experience; hearing the things each one felt the need to let go of and sharing our hearts. Between that, the burgers cooked right over the campfire flames, and then continuing the evening by asking each other the questions from this study, it was the perfect way to spend our last night of the trip together and really welcome in 2016! Santa My parents got Babe a new Coleman travel grill for Christmas! We love, LOVE it!! It fold up so nicely and fits inside the front storage compartments underneath Flo. It sits so cozy right along side our 5 camping chairs (you know in case we ever have camper company). We were really excited for to try it out for the first time! It was perfect because, even though we did have a fire pit grill at our site that we could have used, it was drizzling on New Year's Eve. So we put out the awning and he got to grilling! We figured we would go big for our first travel grill adventure and so Babe grilled us up some yummy lobsters! We just got two little baby lobsters for right around $7 a piece and then I cut them and prepped them while he set up the grill. For the lobster: We just cut them open, down the belly. I then pack in butter and a bunch of garlic salt and then he grills them for about 10 minutes. Rotating them back and forth, from belly to back, every so often. 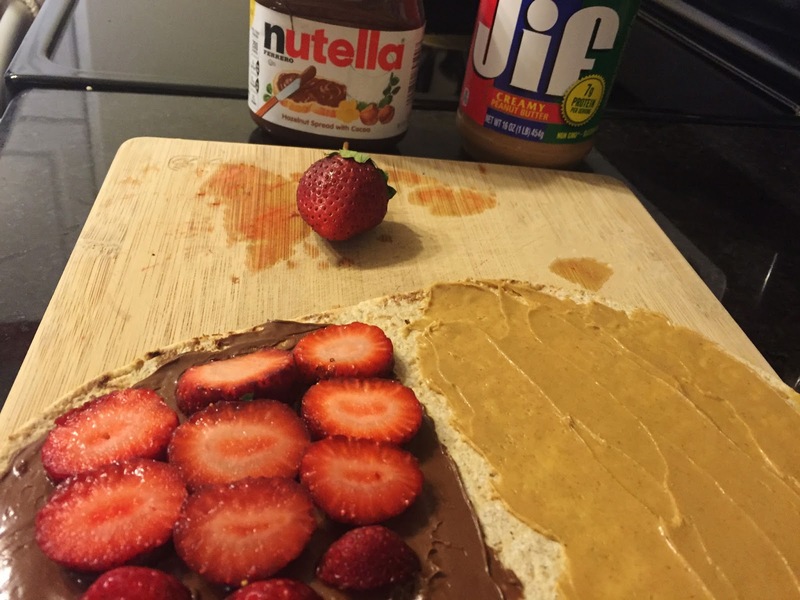 So simple and sooooo delicious!! Soooo... I may have almost blown us up!! Like I said, I have a flare for the pyrotechnics. Well, I was trying to make rice to go along with our New Year's Eve lobster. Like I normally would at home, I put the water in the pot, put the pot on the stove and turned on the stove. I do know that, unlike at home, I am supposed to see some blue flamey thing that will tell me that the burner is on and getting hot. I see no blue flamey thing. So I turn the burner off and try again. Still no blue flame! Turn it off and try again!! This time I turn the burner on high, but yet again no blue flame. So I holler for Babe, who is right outside the door. "Babe, this blue flamey thing is not working! I can't get the stove to turn on!" He asks, "did you light it? Grab the lighter?" Oh yeah!! Big duh moment! Ok, really though, be kind. I had never lit a propane stove before! So I grab the lighter out of the drawer and get ready to light it, but he has since poked his head in and immediately yell, "wait!!" So apparently you are not supposed to have had the propane running on high before you light the burner. Yikes! Thankfully he caught me before I burnt Flo and myself crispy nuggets. So he had me turn it off, wait a minute, then turn it back on low before I lit it. By this point I was scared of the whole dang-flangled thing! So I had to have another RV lesson a la Babe. Enjoy! And last, but not least, our lovely and unexpected vineyard find!! It gets to take up two happy spots; it was just THAT good! On Saturday (the last day of our trip) we headed over to Glennville, Georgia to visit my brother and his wife on our way back to Orlando. My brother is stationed in Georgia with the army and they had just bought their first home, so we were going to see their property. While we were there they took us to the cutest little vineyard! Watermelon Creek Vineyard is a definite must if you ever find yourself in or even remotely near Glennville! We started the afternoon off with a wine tasting. The owners, Charles and Deborah, are a sweet husband and wife team! They run the vineyard and live right there on the property. Charles gave us the tasting and managed the shop and Deborah was busy preparing meals. Charles' wine tasting was quite the treat, besides the fact that we were getting to enjoy the wines they offer for sale, he told a wonderful story all about the grape and the wine process. He made the story come to life, as he told a story by intertwining elements of wine making with elements from the book of Genesis and the story of Noah. It was really neat! Apparently he has 3 other story versions that he tells using different books of the bible. I hope to get to go visit again soon so that I can hear another!! Oh. My. Goodness!! The wine was all kinds of wonderful... and then came the food, oh the food!! Let me just say that we did quite a lot of eating during our week in Georgia. This place, by far, takes the cake for the best food we had the whole trip!! There were only 4 items on the menu. So I was a little skeptical at first, but what they do have, they fill with every bit of love! That food was on point!! We ordered one of everything except for the salad, but even the little side salad that came with my meal was delicious, so I can only imagine that it tasted like little drops of amazingness! Katie and I got the chicken and dumplings, Babe got a pimento grilled cheese with pasta salad and Patrick got the Coney dog and we each shared a bit of everything! Your meal also comes with a delicious pumpkin muffin and your choice of either a wine slushie (yes, please!) or tea (fresh made and also so yummy!) I was in food heaven! I am telling you! This place could not have been better! You eat upstairs on the patio (there is inside seating too) overlooking the beauty of the vines down below. There is also an old barn and other old buildings on property that just add so much charm. There is a horse and some chickens! Following our meal we explored around the property a bit. There is a nice loop-the-lake trail that you can take to walk off the food and it leads you right by their bee hives!! Oh, my honey loving heart was so happy!! We went back through the shop and left with some quite a bit of Watermelon Creek goodness! I also love how reasonably priced everything was! We paid $108, but our bill included both of our meals, two wine tastings, two bottles of wine, a bottle of grape juice, a corkscrew (because Flo needed something that wasn't going to keep breaking corks), a big thing of honey, BBQ sauce, an extra wine slushie, and a jar of jam!! Seriously, I can't think of anywhere else where we would have gotten all that for just over $100! I hope you find yourself near Glennville, GA sometime so you can go enjoy an afternoon at Watermelon Creek!! Hope you find yourself adventuring soon!! Any places you just love and would recommend we try? !